The Trump administration is mulling plans to renew family separations at the U.S.-Mexico border, as the number of migrant families entering the country illegally has skyrocketed in recent months. One policy under consideration would be to give asylum-seeking parents a "binary choice" after spending 20 days in detention with their families: either stay in a detention center for months or years awaiting an immigration trial, or allow children to be taken to government shelters while other relatives try to seek custody for them. The Washington Post first reported that this option was being considered. Amid criticism of his administration's immigration policies, President Trump signed an executive order in July to end family separations at the border, which included detaining families as a way to keep them together. However, U.S. Immigration and Customs Enforcement now says they may not have the space to detain families who choose to stay together. The option to give families a choice about staying together was endorsed by the Justice Department and the American Civil Liberties Union in a court filing in July. The motion stated that if a parent chose to stay with their children, the parent would waive the child's "rights with regard to placement in the least restrictive setting appropriate to the minor's age and special needs." If a parent did not make any decision, the motion said that the government would keep the family detained together. These rights were enumerated in the 1997 settlement Flores v. Reno, which administration officials wanted to modify to allow for family separations. Justice officials wanted maximum flexibility for the Trump administration to determine length of detention, arguing that the settlement limited the detention of children to 20 days, meaning that they could not be kept with their families. However, a federal judge rejected this request in July. 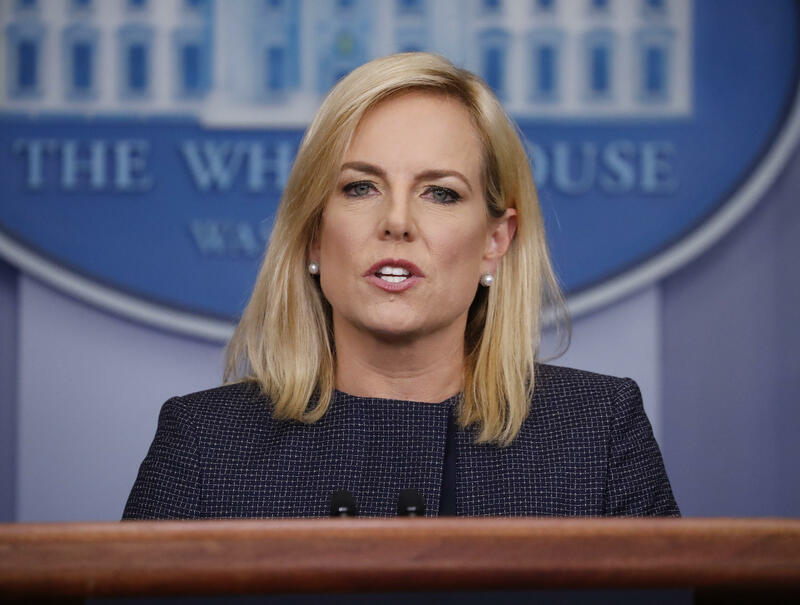 A spokesperson for the Department of Homeland Security did not directly address concerns about implementing the binary choice, but justified the administration's hardline policies on immigration. "There is currently a crisis at our southern border as we encounter rising numbers of adults who enter the country illegally with children. Catch-and-release loopholes in the law incentivize illegal border-crossers to take this dangerous journey because they are unlikely to face consequences for their illegal conduct and in fact will almost certainly be released," said Katie Waldman, a spokesperson for the Department Homeland Security, in a statement to CBS News. "In keeping with the President's commitment to the American people, DHS will continue to enforce the law humanely, and will continue to examine a range of options to secure our nation's borders. The American people deserve as much."